Offering a wide range of photos effects, FotoWorks XL 2019 can do it all in terms of accurate image manipulation that will suit expert photographers as well as amateur picture creators. FotoWorks XL 2019 is ideal for all photo editors and effects that come supplied with it include things like sharpening, blurring, contrast changing and painting functions. You can use each of the picture effects in isolation to create a particular look for your photo or utilize them in various combinations for some unique visual impact. If you want to edit photo effect or effects you have already added, then the program comes with a handy 'Undo' button. This allows you to really experiment with the photo effects software in a highly personalized way. If you don't like the outcome, then nothing is lost – you can always revert to a previous iteration of your image or start over. As such, this photo effects software suite is among the most powerful digital tools you could have in your armory to improve the quality of your photographs as well as making more compelling graphical designs. It is ideal for web publishing or printing and provides professional level picture effects that are second-to-none. Learn how to make use of the remarkable picture effects included in the program and you'll be retouching your photographs in a highly professional manner within minutes. Download for the Pictures Effects Software here! Looking for amusing picture effects that you can make interesting, funny and wacky images with? If so, then FotoWorks XL 2019 is the photo effect editor for you. Make picture effects work for you in the way you want with FotoWorks XL 2019. For some people, this simply means using the program to make silly or outlandish images that will raise a smile. Some of the photo effects funny options include morphing and borders. With the latter, you can insert a face of a friend into a border that makes a 'Wanted – Dead or Alive' poster, for example. There are plenty more of these amusing borders to make use of with your snaps. Alternatively, the morphing option is a great tool for tweaking images in amusing ways. You can use this picture effects tool to give family members pointy ears, for example. How about using it to make doe eyes, as well? Another of the picture effects on offer for creating funny images is the clip art function, an option where you can find speech bubbles for captions that will raise a laugh. FotoWorks XL 2019 is a highly effective picture effects suite and photographic editor that is cost-free to try out. The photo effects software free download option is available to all users of FotoWorks XL 2019. You don't need to be a registered professional in the art of image making to try it out without charge. 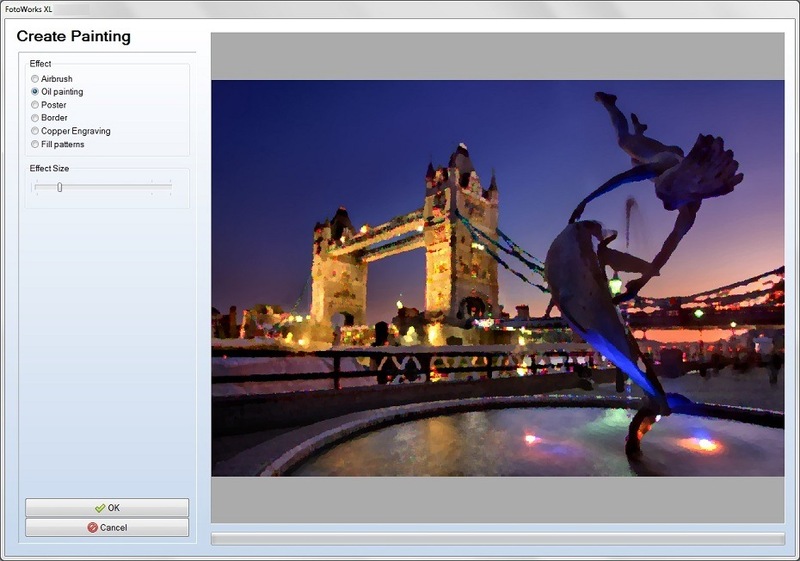 This makes the software stand out from nearly all other picture effects programs on the market today. If you think you might like it but are unsure whether it is all it is cracked up to be, then don't rely on a review or word of mouth. Simply download the program and try out the photo frames and effects for yourself!